Unique Table Number Ideas for a Wedding — Sweetchic Events, Inc. While there is nothing wrong with these, they are just a bit… utilitarian. (But if your venue has nicer framed table numbers, then score!) TIP: The easiest thing to do is to use the venue’s existing holder, stand or frame, and then insert your own number that matches your color scheme. One popular trend these days is to name your tables after locations, such as places you’ve been to as a couple, famous local landmarks, or perhaps even your favorite books or movies. But here’s another TIP: Also assign that table a number. That will make it SO much easier and faster for guests to find their table, and just as importantly, for your caterer and their wait staff to find their way around. 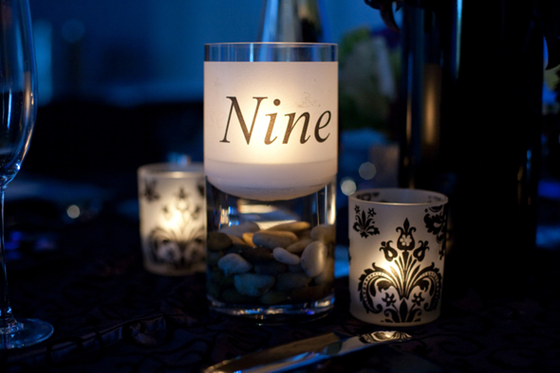 Have you given much thought to your table numbers? What do you plan to do?